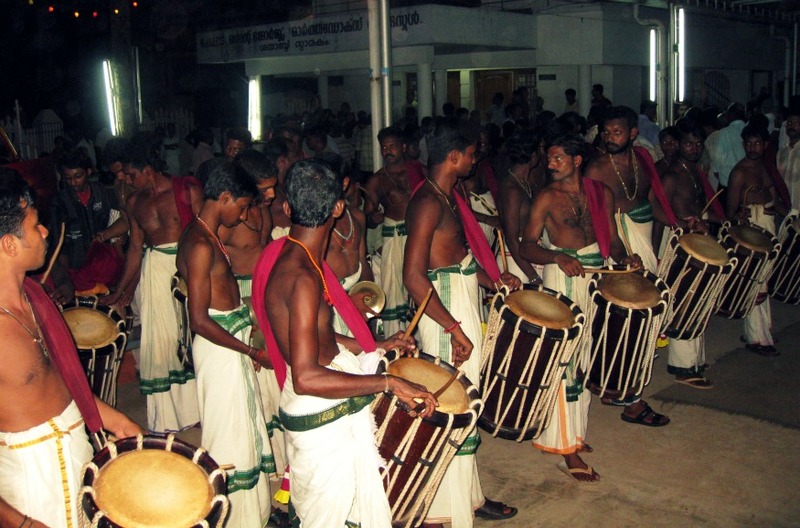 A traditional dance and song form called 'Shingari Melam', from one of the Cheppad church fests. I dont know the names of the instruments, except for the 'Chenda'. The beat vibrates throughout your body, just standing there next to them. And the level of energy around these guys are insane. Think this could have lead to what is today called a marching band?